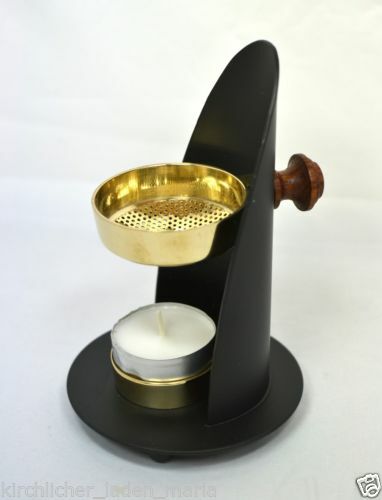 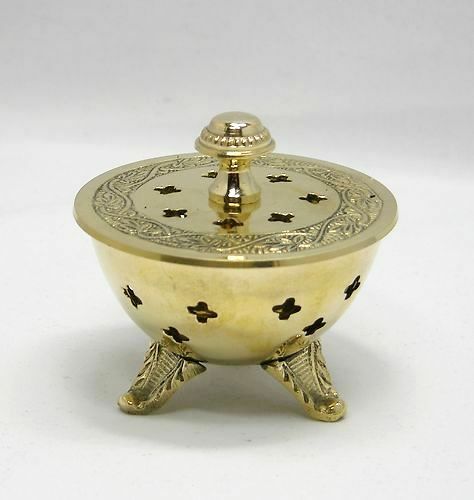 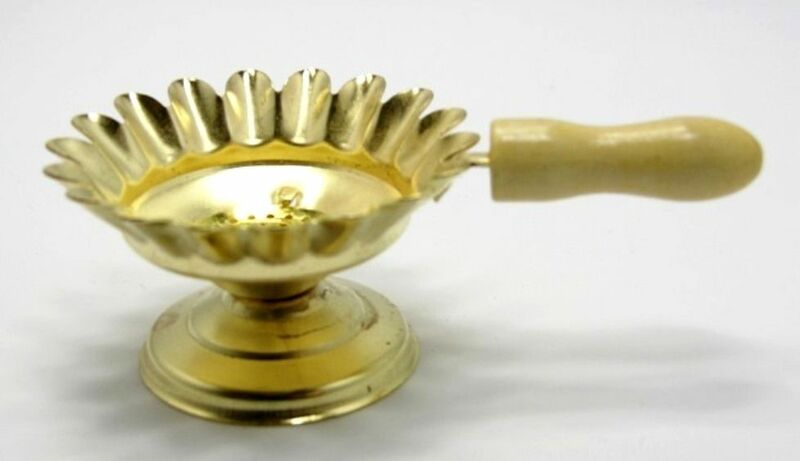 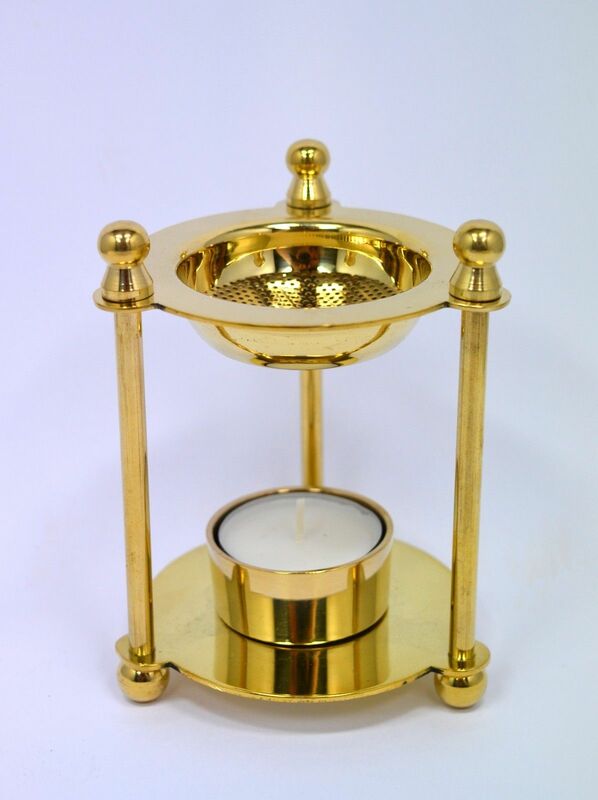 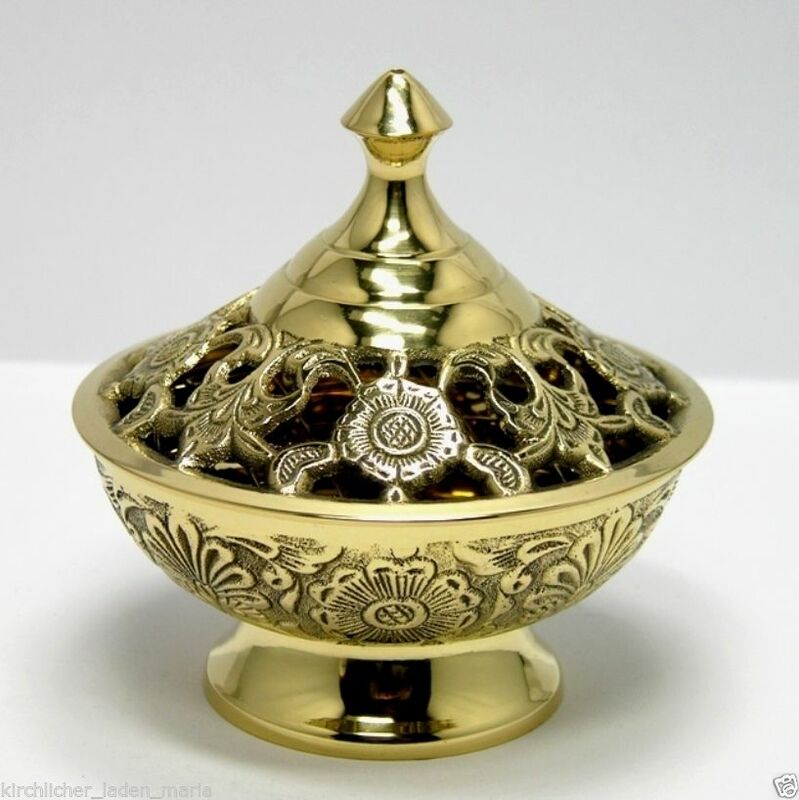 incense barrel Incense pan with wooden handle Brass Height: 4,0 cm Diameter of outside: 6,3 cm Length with handle: 11 cm Under the carbon 2.0 - 3.0 cm Material: brass. 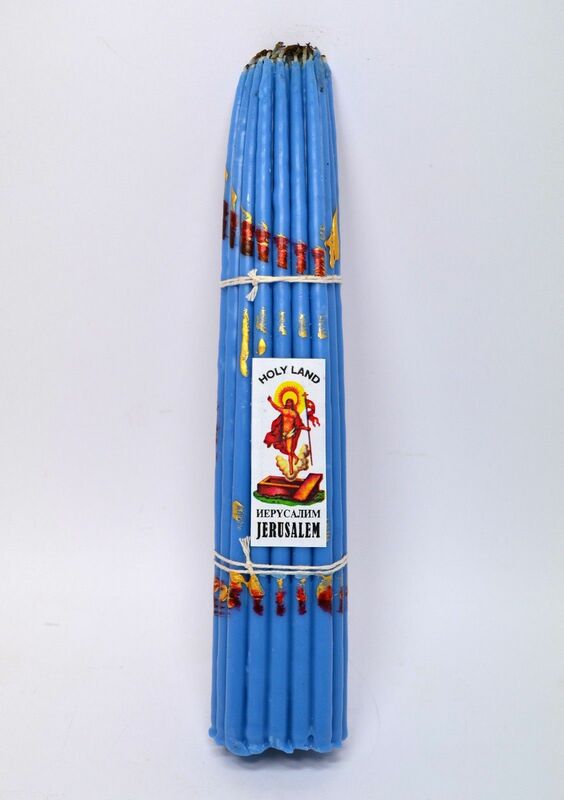 Weight: 30 gr In the sentence the incense barrel + 2 st. Coal attached! 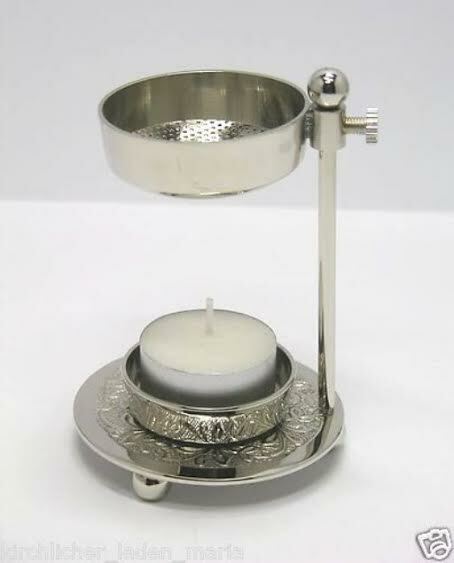 High quality handmade Height: 15,8 cm External diameter: 9,0cm For coal: 2,0 - 4,0 cm Chain Length: 60.0 cm Weight: 550 gr. 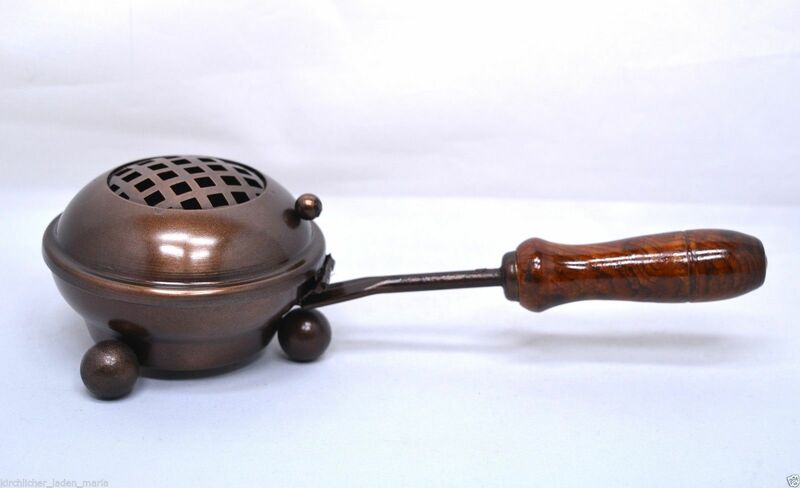 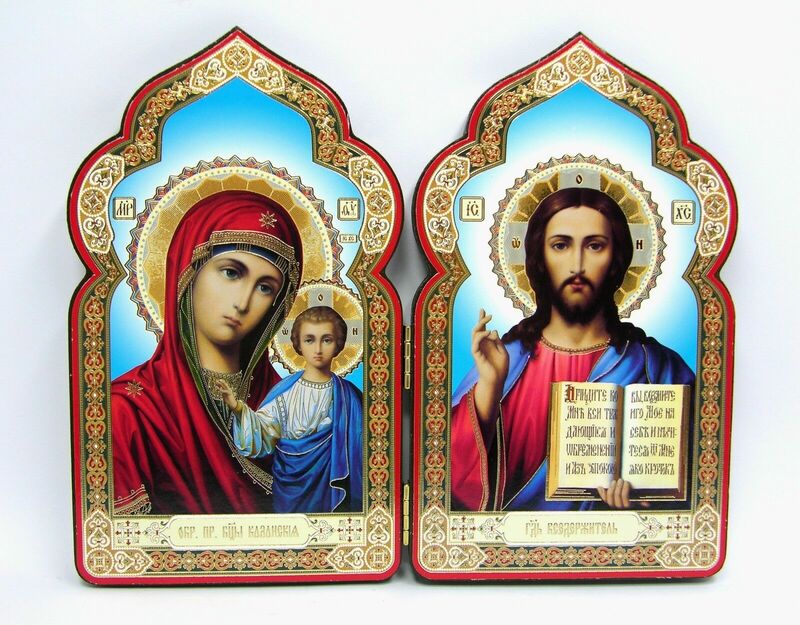 High quality handmade Height: 5,0 cm External diameter: 11,5 cm For coal: 2,0 - 5,0 cm Massive Weight: 410 gr.